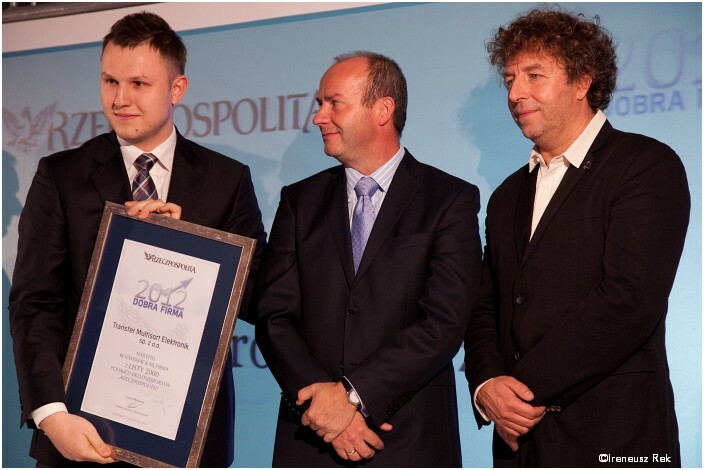 We are proud to inform that TME, for the second time, has been honoured with the Good Company Award granted by Rzeczpospolita daily. We received this distinction for the first time in 2010. Good Company awards have been granted for 11 years, they are awarded to the most effective companies from the 2000 List. This list presents financial results of two thousand biggest Polish companies. The winners are chosen by the Committee comprising of outstanding personalities from the world of economy and business. 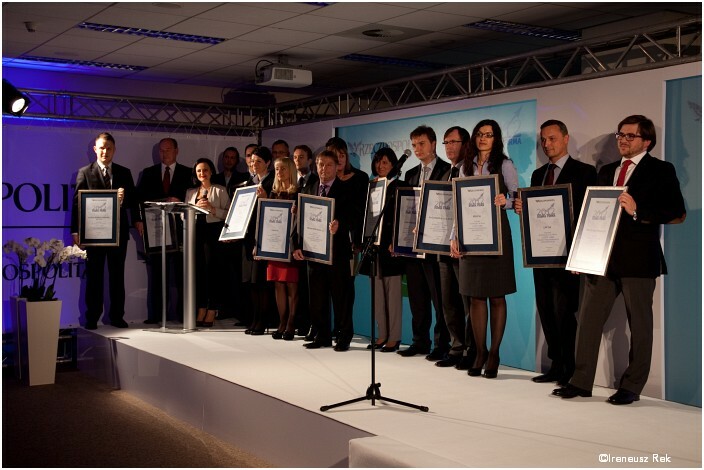 The 2012 Good Company awards ceremony was held on October 24, 2012 in the Rzeczpospolita head office in Warsaw. The awards were presented by: Grzegorz Hajdarowicz, the President of Rzeczpospolita, Tomasz Wróblewski, Chief Editor and Jan Czeremcha, Vice-President of Raiffeisen Bank Polska. 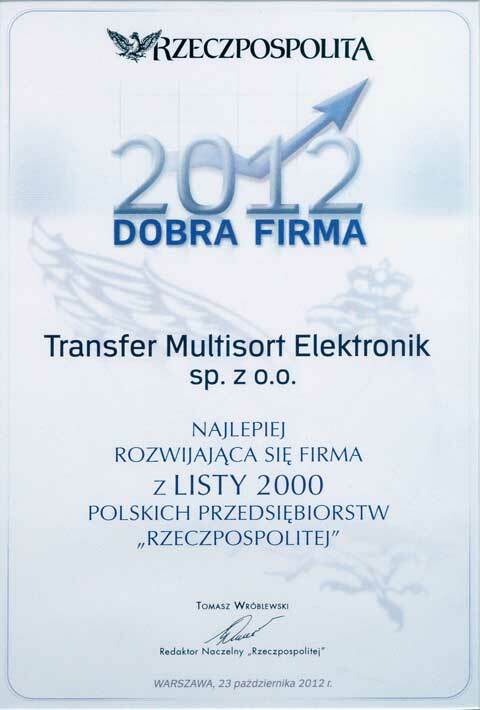 The award for TME, on behalf of company management board, was collected by Mr. Andrzej Kuczyński.